I offer dog walking and cat/dog sitting tailored to your needs. I love being outdoors and going for walks or runs and would love to take your dog with me. 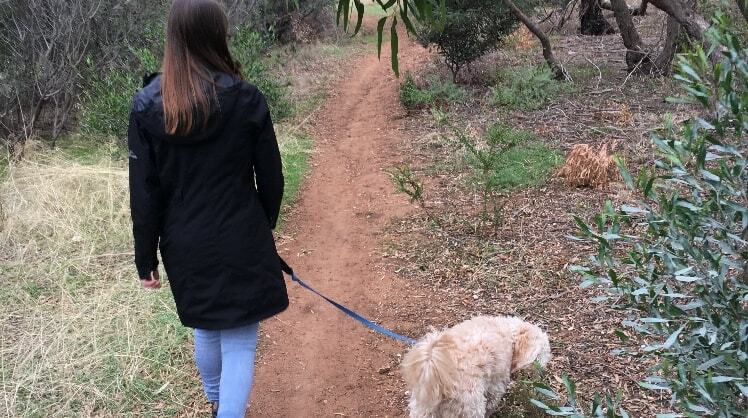 I live close to the Torrens which has some lovely paths for walking, or if your dog is more energetic we can pick up the pace- I'm pretty fit so I should be able to keep up! There are also some parks along the way that we can stop and play. Just let me know what your dog likes. I can also check in on your dog or cat daily while you are away for basic things such as food and water and also to keep them company for a while! I have previously house sitted to look after two cats for 2 weeks and 1 dog for 6 weeks while their owners were away on holiday. I have also recently been checking in on my friend's cat while he has been moving interstate. I grew up with a dog and a cat and really miss not having animals around since they are not allowed at my current house. I would love to share my time and affection with your pet! Thanks Laura for feeding our cats whilst we were on holidays. Highly recommend Laura to others. Couldn’t be happier with the care Laura provided my wee furry feline, Bruno. He was a happy wee camper and communication was excellent. Wouldn’t hesitate to book again!